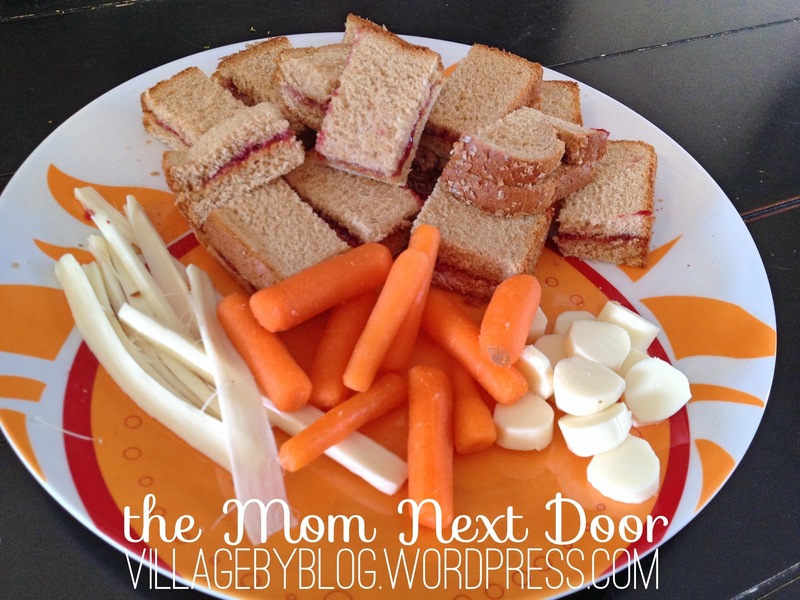 Who says a simple peanut butter and jelly sandwich has to be boring? My mom was amazing at making simple things fun for us as kids, and I strive to do the same. While I wasn’t up to making anything more than PB&J for lunch, I still wanted to make it fun. We started by cutting our sandwiches into finger sandwiches – which, as I convinced my daughter, are much fancier than regular sandwiches. We arranged them on a colorful platter with other finger foods and dished ourselves up on little paper plates, just as if we were having a party. 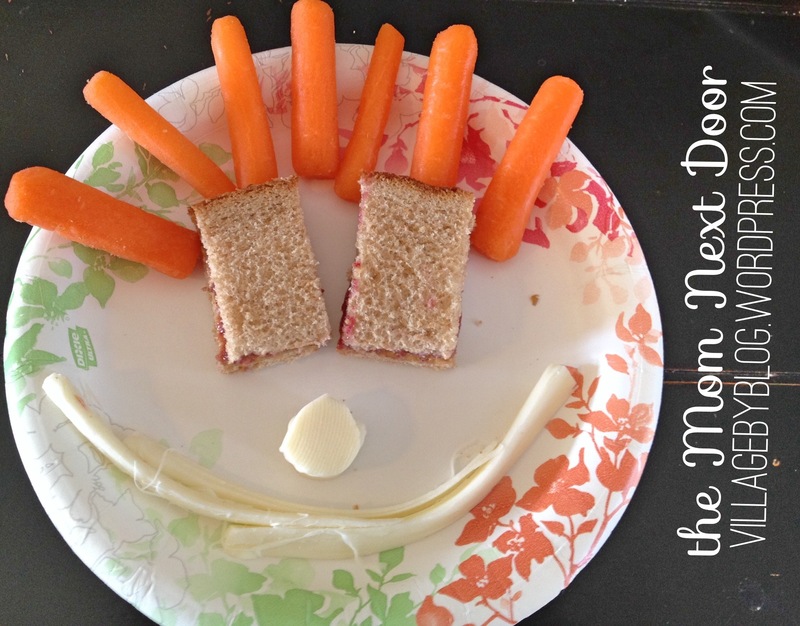 My daughter took it a step further and made fun and artistic creations with her food, which I allowed because playing with food is fun.